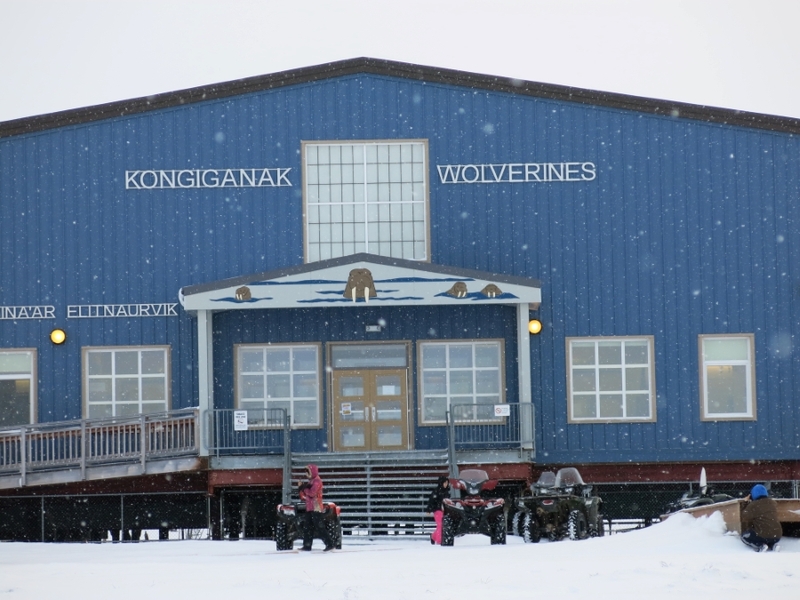 Ayagina'ar Elitnaurvik is located in Kongignak, Alaska, on the coast of the Bering Sea. The student population is 174 and the grades offered are Pre-School - 12th grade, all in the same building. Our elementary program is a part of the Dual Language program with the district. Students learn to strengthen not only their Yup'ik language skills, but also their English. The school is named after the oldest man in the village, John 'Ayagina'ar' Phillip, Sr. He was also one of the first teachers in Kong, and helped start the first school in the village. Once in JH/HS, our students are encouraged to participate in programs like ANSEP (Alaska Native Science and Engineering Program), Speech, Excell Programs, Robotics, Art Fair, iDida Contest, Ready Academy, and other camps/programs offered by the district. We always encourage our students to follow their passions and try to expose them to as many opportunities as we can. Study Hall happens every day from 4:00 - 4:30 for 7 - 12th grade. Mandatory for any student who participates in sports. * On Friday's, students in grades 8-12 have a Homeroom from 12:40 - 1:30 and are given an opportunity to look over their grades and work on missing work. On Friday's, 8-12 grade have a Homeroom from 12:40 - 1:30 where they can meet with their teacher to discuss their grades and get caught up in any missing work from the week.